See the bottom of the sea without any scuba diving gear! Stroll along the ocean floor and marvel at the colorful and exciting marine life on the ocean floor! Must do activity... complete with video and pictures. Thank you, Klook!!! 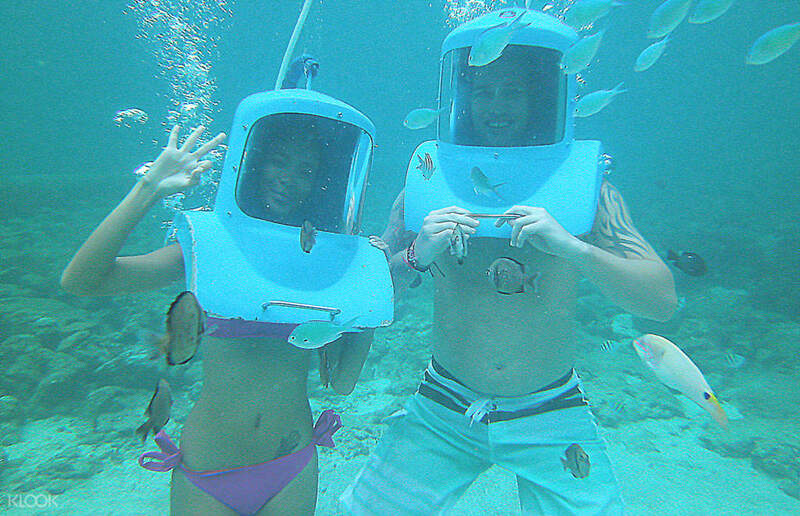 Go on an amazing walk underwater with Boracay Helmet Dive experience. On this trip, you will get to stroll underwater just as you do on land. 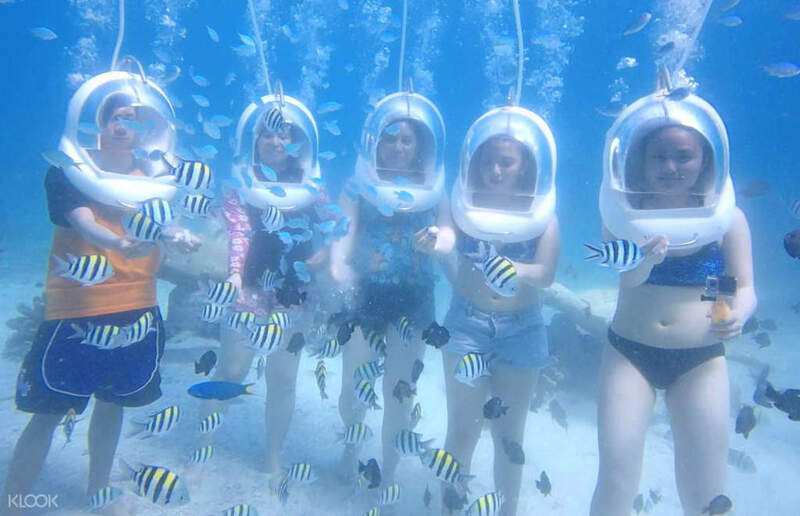 So if you've always wanted to dive but did not feel comfortable wearing a scuba diving suit or are not a confident swimmer, Boracay Helmet Dive will let you explore all the beauty of the marine world without any of the risks. The experience will start with a thrilling speed boat ride to the dive location. There, you will put on the oxygen pumped helmet and go through a safety briefing. Then, slowly descend into the water and begin your wonderful discovery of Boracay’s stunning dive site. 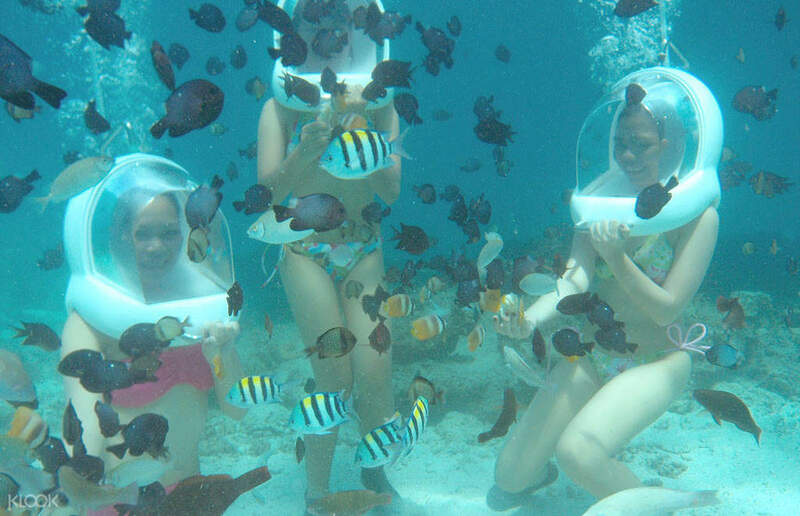 Stand on the sandy sea bed, see coral reefs, colorful exotic fishes and so much more! The activity or the transaction was very smooth, staffs were so accommodating. The guide was so kind and cute, she never left us not even when we were having difficulties in transferring the photos from go pro to our phones. They decided to hand the camera in their office to have the photos transferred there. The guide was good. And the scuba diver who guide us under the water was very accommodating and also entertaining too. It was a very fun experience, thank you Klook! The activity or the transaction was very smooth, staffs were so accommodating. The guide was so kind and cute, she never left us not even when we were having difficulties in transferring the photos from go pro to our phones. They decided to hand the camera in their office to have the photos transferred there. The guide was good. And the scuba diver who guide us under the water was very accommodating and also entertaining too. It was a very fun experience, thank you Klook! It was our first time to do this activity, and i can say that it was worth it. All of the staff, from the one who picked us up to the boat drivers to the divers- they are very friendly and accommodating. Highly recommended! Thank you Klook! It was our first time to do this activity, and i can say that it was worth it. All of the staff, from the one who picked us up to the boat drivers to the divers- they are very friendly and accommodating. Highly recommended! Thank you Klook! Very enthralling experience for those who have never experienced diving before. 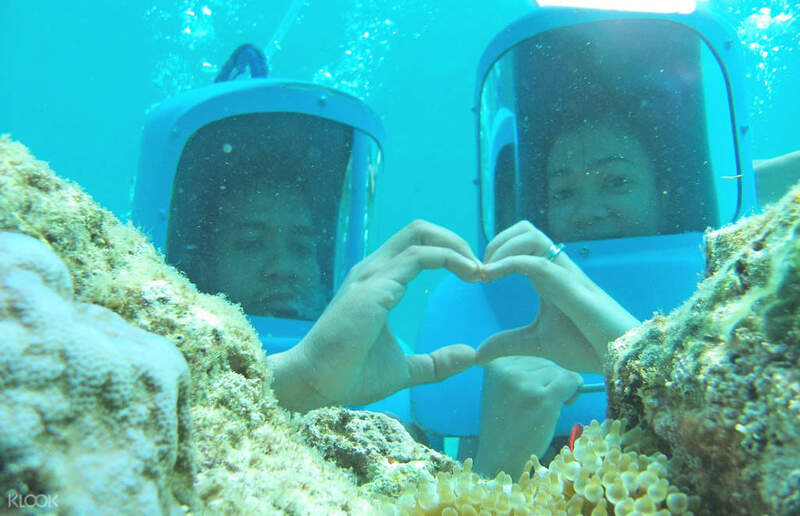 First hand fully underwater experience looking at the fishes and coral reefs. A Must-try for those who shy away from full-fledged diving. Very enthralling experience for those who have never experienced diving before. First hand fully underwater experience looking at the fishes and coral reefs. A Must-try for those who shy away from full-fledged diving. One of the best experiences I’ve had in Bora! The diver was so nice and very accommodating! He’s also a good photographer! One of the best experiences I’ve had in Bora! The diver was so nice and very accommodating! He’s also a good photographer! what an awesome experience..One unforgettable experience you should try while ur in boracay.. what an awesome experience..One unforgettable experience you should try while ur in boracay..